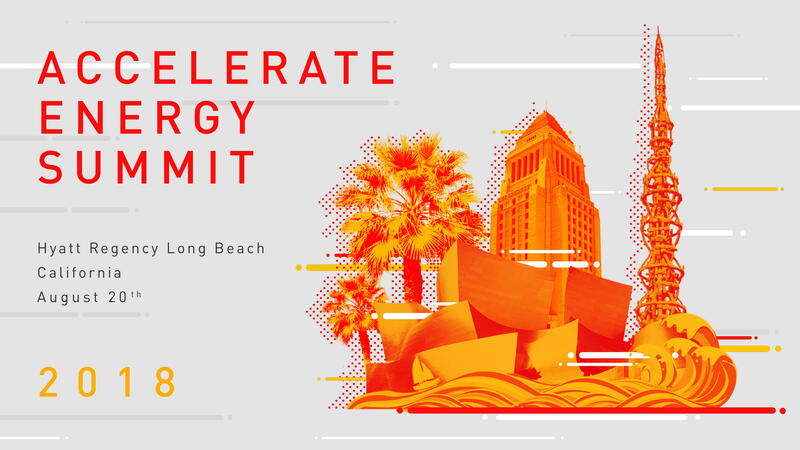 The Accelerate Energy Summit brings together the global community of leading clean energy and cleantech incubators and accelerators. Our goal is to accelerate the global energy transition by increasing peer collaboration and knowledge sharing between energy startup supporters around the world. This year the summit will take place in Long Beach, California, in conjunction with the international Electrification 2018 conference. Electrification 2018 is the Electric Power Research Institute's (EPRI) flagship event and hosts industry, government, and academic leaders to understand, learn, experience, and collaborate on the electrification of everything. In order to register for AES 2018 you MUST have registered for the Electrification 2018 Conference and there is a Special Discount for Incubators and Accelerators. The summit is an exclusive invite only event for founders, leaders and managers of clean energy/tech entrepreneur support organizations and programs. We are inviting 50+ leaders from both corporate and nonprofit incubators from developed and developing markets around the world. The Accelerate Energy Summit 2018 is organized by New Energy Nexus (Nexus), and IncubateEnergy and supported by ADB and WWF. New Energy Nexus connects the global energy startup ecosystem and accelerates the uptake of disruptive energy solutions. "A key ingredient to innovation is building relationships and that's what we're here to do." The summit kicks off with a reunion of incubators from AES 2017 and a warm welcome to new members. Building community will be the common thread throughout the workshop and activities. Co-hosting AES at Electrification with IncubatEnergy provides an opportunity to meet leading utilities, energy companies, government and academics leaders in the electrification space. The collaboration unconference forms the heart of the Accelerate Energy Summit, this is the space for participants to dig deeper on certain topics, co-create new approaches, develop collaborative projects or discuss regional issues with one another. Opportunity to visit and tour one of the world’s leading cleantech incubators, LACI and learn about startups they incubate and how their approach helps cleantech startups scale successfully. What are the latests trends in the clean energy/tech world? We will hear from some of the exciting topics that are emerging in our global field such as: clean energy/tech ecosystems, smart energy, blockchain, and working with utilities and sector level approaches. The summit kicks off with a reunion of incubators from AES 2017 and a warm welcome to new incubators and accelerators. Building community will be the common thread throughout the workshop and activities. Co-hosting AES at Electrification with IncubatEnergy provides an opportunity to meet leading utilities, energy companies, government and academics leaders in the electrification space. We will kickoff the summit with getting to know the different players in the field and understanding the markets we all operate in. Building community will be the common thread throughout our workshop and activities. In Accelerate Energy Summit 2018, we have some exciting opportunities for attendees to take part of with New Energy Nexus and Incubate Energy! Please endeavor to RSVP for each separately so we can ensure the best experience for you. 10am - 11am | Accelerate This! VISIT Electrification 2018 for Hotel and booking details. You can also visit hotels.com or airbnb.com for alternate arrangements.